Small Firms, How Will Merger of These Two Giant Trucking Companies Affect You? Two of the nation’s largest trucking companies announced plans to merge Monday, creating a trucking behemoth worth more than $5 billion. 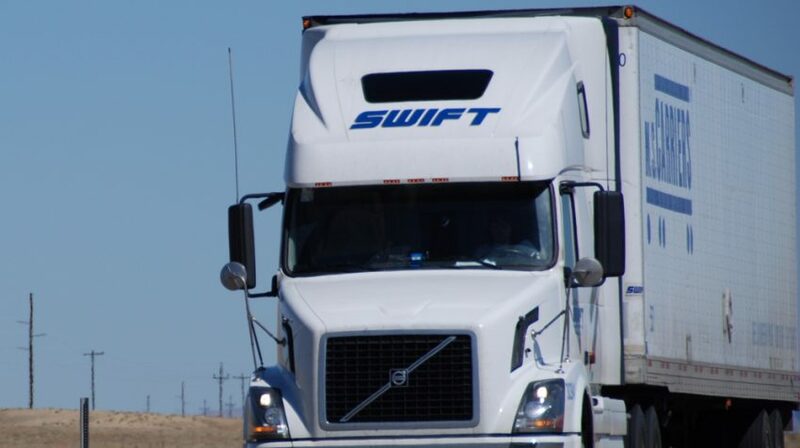 Swift Transportation and Knight Transportation announced an all-stock transaction that will merge the two trucking companies with Swift shareholders owning 54 percent, and Knight holders owning the remaining 46 percent, according to the Wall Street Journal. The new company will be named Knight-Swift Transportation Holdings Inc. and the two brands will remain separate and distinct. The merger of the two Phoenix-based companies represent the largest industry acquisition since XPO Logistics Inc. purchased Con-way Inc. for $3 billion in 2015. While Swift is significantly larger than Knight, executives from the two companies will share leadership roles according to the WSJ. Kevin Knight, chairman and CEO of Knight, will take over as executive chairman of the new company. News of the merger comes just weeks after President Donald Trump invited truck drivers and executives from some of the top trucking companies to the White House. The purpose of the meeting was to discuss healthcare within the industry, and the president even took some time to sit in the cab of an 18-wheeler. “We are committed to working with Swift to achieving the same efficiency Knight has enjoyed over many years,” Knight said. Executives from both companies expect the merger to lead to $75 million in cost savings by 2019. Combined, the new company will own 23,000 trucks with 28,000 employees.